Our range of Use Me Shutter (UMS101) is offered at industry leading prices to the clients. These are in compliance with the industry standards and are available in various dimensions such as 305 x 228 x 356 mm. The range can be customized as per the requirements of the clients. Our product Use Me Shutter is designed by highly skilled experts and is used to put or throw all un-wanted or waste kitchen materials. These are well known for its quality and its durability. We are a proficient name in the industry involved in offering optimum quality of Use Me Shutter. Being a customer oriented organization, we are highly engaged in offering a wide range of Use Me Shutter. We are renowned in the market offering excellent array of Use Me Shutter that are designed by our engineers. They are affordable at rates. Suitable for use in residential and commercial area, this Use Me Shutter is installed in the assembly operation. We are true manufacturers, exporters, traders and suppliers of Kitchen Crockery Stand. They are sourced from trusted vendors. They undergo various quality checks, by our supervisors to ensure a defect free and quality catalog products. Our products are made according to the industry standards. 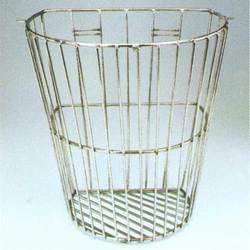 Kitchen Dustbin is designed by highly skilled experts and is used to put or throw all un-wanted or waste kitchen materials. These are well known for its quality and its durability. Use Me Shutter has its dimension of 305 x 228 x 356 mm and this can be customized based on the requirements of the consumers.